I hereby would like to apply as for the title of Artist at Minecraft Middle Earth. I (actively) joined MCME in mid-March 2019. I helped Oberanio in Moria by designing a section of hallway (including floor, ceiling) and stairs The designs have been accepted as of 28-03-2019. Helped NicovicTheSixth build a bridge in Moria. The design was finished and accepted on 30-03-2019. I did the main design work and established the main structure. In addition I detailed the gates on both sides. I received input from a few other artists throughout the build which took me a few hours to finish (Including connecting it to the paths). I built a concept for what I think Dunlending's houses might look like. Since the Dunlendings live near and in the mountains of Rohan, in sparse areas, I imagined their houses to resemble Iron Age hamlet compounds like these. (link to image) This Chieftain's compound includes a main dwelling, a round house for the Chieftain's retainers/family members, a storehouse and a workshop, as well as a few fields and utility buildings like a makeshift bakery and a watchtower. Check out a few screenshots BY CLICKING HERE or go see it for yourself on the Freebuild Map at coordinates 1659,5,257. Anorien Streets (-1374,5,38465), Updated March 3rd, 2019. A small group of houses and buildings in the Anorien theme. - Unnamed WIP medieval city (2016 solo creative) This map was left unfinished due to a computer crash which caused the save to be lost. - Port sections with Cog and Holk ships. - Detailing existing exteriors and adding interiors. As you can probably tell I love building in medieval/fantasy styles. I have most experience in these styles and like to work on large projects in my own time. I'd love working on anything really. If I had to choose, I'd think that Rohan or Anorien would fit me best. I've been on this server every day since I joined and not a day has gone by when I was not awe-struck by one of the builds. Also, I learned a lot from the feedback I was given on my Plot Build and Theme Build, allowing me to understand and grow into the style that MCME has embraced. I think that as an Artist, I would grow even more and be able to contribute to the fantastic project that is MCME. Thank you for your time! Hope to see you online soon! Hello Metronome! I like all the stuff on your application but one thing I want to point out is in the "Your Motivation" section you say you think artist will help you grow and artist on MCME is not to help people grow as builders but help Middle Earth grow. So you need to basically learn your stuff before getting the rank not while having it. Hey man, appreciate the reply. I think you interpreted what I said wrong. I don't think any artist (or other builder) on the server hasn't learned a new thing or two whilst working on MCME. That is my intention as well. Through helping to shape MCME, I'll undoubtably learn more as a builder. Af course making my creations look as good as possible is priority number 1. Added Plot Build/Job 2: Bridge in Moria. See original post for details and screenshots. Can you add me on discord so we can make a private group conversation? 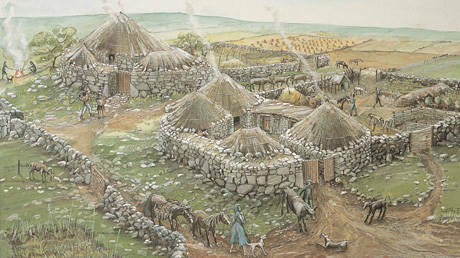 Added Freebuild 1: Dunlending Chieftain's Compound. See original post for details and screenshots.